On a broader scale, we are located in a region called Gaspésie, a mountainous and forested peninsula at the eastern end of the province of Quebec, Canada. 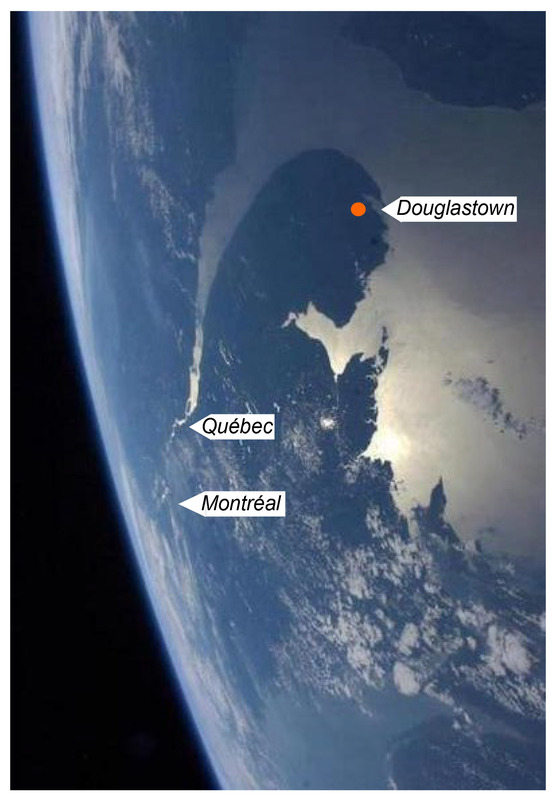 Our village, Douglastown, is about 1,000 km from Montreal. A countryside full of nature and ever-changing views – whether they be of mountains, rivers or the sea – Gaspesie, translated as “land’s end” from miq maq ‘’Gespeg’’, will not leave you ‘untouched’! The area has a one-of-a-kind appeal and occupies a special place in, even, the hearts of Quebecers, themselves! It boasts of being home to more than two-thirds of Quebec's peaks, over 1,000 meters in height. Its 21,000 km² (two thirds the size of Belgium) are populated by less than 90,000 inhabitants and 94% of its territory is occupied by a diverse forest. Balsam Fir is the dominant species. It is mainly conifers that occupy the center of the peninsula; while on the coastline, you will find a mixed forest (Balsam Fir-Yellow Birch) and hardwood (Maple and Yellow Birch). The Alpine floor is covered by shrub Tundra and, at the highest peaks, herbaceous Tundra. Thirty mammals of all sizes meet in these magnificent forests. You may see Black Bears, Moose, White-Tailed Deer, Lynx, Coyotes and, if you're lucky, a Cougar. At peak level, you will find Reindeer. We are a family who immigrated from Ardenne, Belgium and have been in Gaspé since 2005. We live as much as possible from what the Earth gives us, we raise our own livestock, produce our own dairy products, and cultivate our own vegetable garden. We want to raise our children “with” Nature in order to open their eyes to what is important. We also want them to be as independent as possible by teaching them about farming, cooking, picking wild plants, self-construction and personal development. We reject this capitalist system which is blind to everything, except short term profit and the Holy Economic Growth. It would be our pleasure to share with you our knowledge of the flavours of the Forest and the Sea. You can also visit our family farm and its animals: various poultry, rabbits, cows, pigs, as well as our Pyrenean Mountain dogs, faithful guardians of the herds. 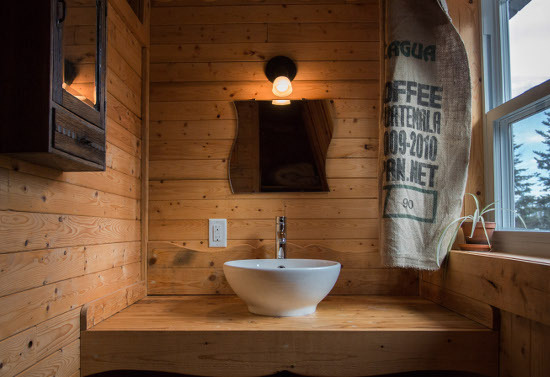 Our Guesthouse is located on the upper floor of the workshop where we process the forest products we collect. In “picking” season, you will have the perfect opportunity to become familiar with our activities, because, during this time, our workshop buzzes like our hives! 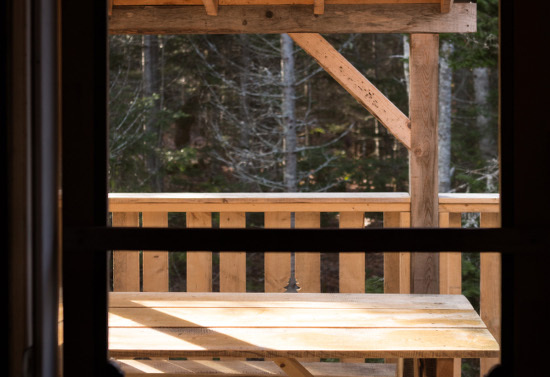 This building, self-built with wood from our land, is located a short distance from our home, our barn and our vegetable garden, in the heart of a forest of 25 hectares, itself contained within the Gaspesian forest. 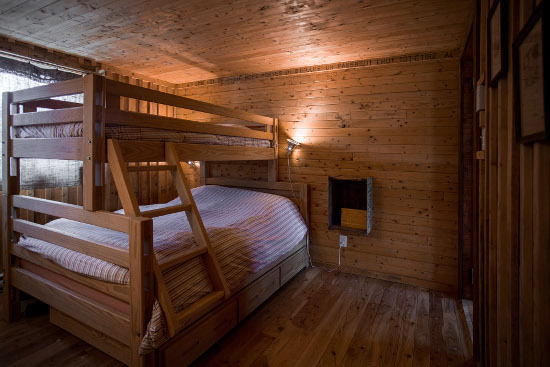 Extremely comfortable, the Guesthouse can accommodate up to 4 people ( a maximum of 6 with a sofa bed). 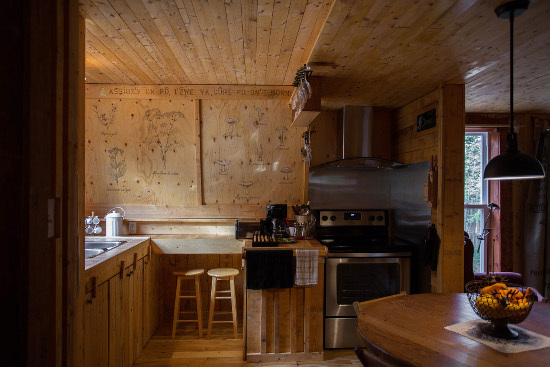 Its wood floors made of Larch and Birch, its walls of Balsam Fir, Cedar and Spruce, and its decor of warm colors, all work together to create a warm and authentic atmosphere. We designed it as the house where we would want to spend our vacation, so we are confident that you will enjoy it! The guesthouse is 75m2 in size; equipped with a bedroom, kitchen, living room with wood stove, a bathroom and a semi-covered gallery, facing south. Our Guesthouse offers all of the comforts for a stay of a week or more; alone, or with your family or friends. $ 900 / week, all year round. The cost is $ 268. These prices do not include lodging tax of 3.5% and the GST tax (5%) - PST ( 9.975 %). Contact us for your specific needs (rental over 3 weeks , month, or other). Thank you. Complete setting of dishes and cutlery for 6 people, toaster, coffee maker and kettle. Organic cleaning products and household linens (tea towels, dishcloths, etc...), plus a complete set of pots and pans. Round table, 6 chairs and 2 stools, 1 child’s highchair. There will be a small stock of grocery staples upon your arrival, including salt, pepper, spices, oil, vinegar, sugar, coffee, tea, herbal teas, plus various homemade herbal teas, as well as some forest spices ! Recycling container and compost bin. A fire extinguisher is in the kitchen, near the bathroom door. "We loved our stay at Gerard and Catherine , during our visit to Quebec. The house is very spacious and situated in the forest . A true healing for a great vacation .". "This Guesthouse is a perfect base to explore the Gaspé : Forillon National Park , Gaspé beaches, Percé and Bonaventure Island. We really enjoyed the kindness of Catherine and Gerard, including their children". "Good taste and originality signed by a gifted Ardenne family that adopted the Gaspésie for life. 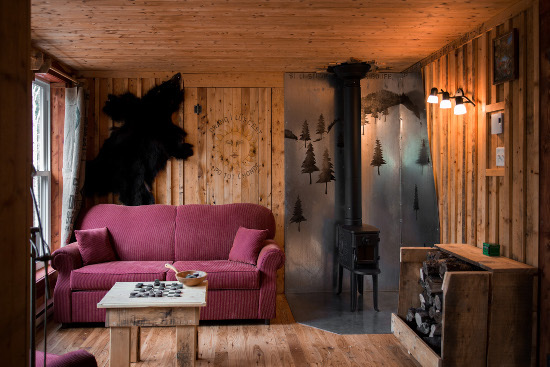 A perfect balance between rustic comfort and Nature. And a way of life which admirably fits with what seasons have to offer. Happiness !" 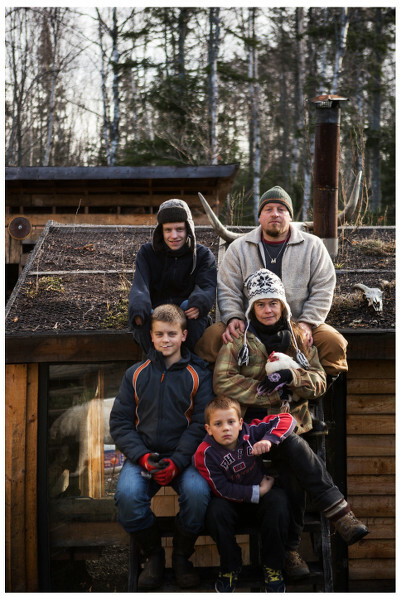 "A warm and beautiful place, like the family that welcomes you there.". "Stay in this wonderful cottage La Comptonie Voyageuse was synonymous with comfort, relaxation and happiness. A magical place where the finesse of every detail is impressive! A place that is good to explore and, especially, to enjoy quietly. 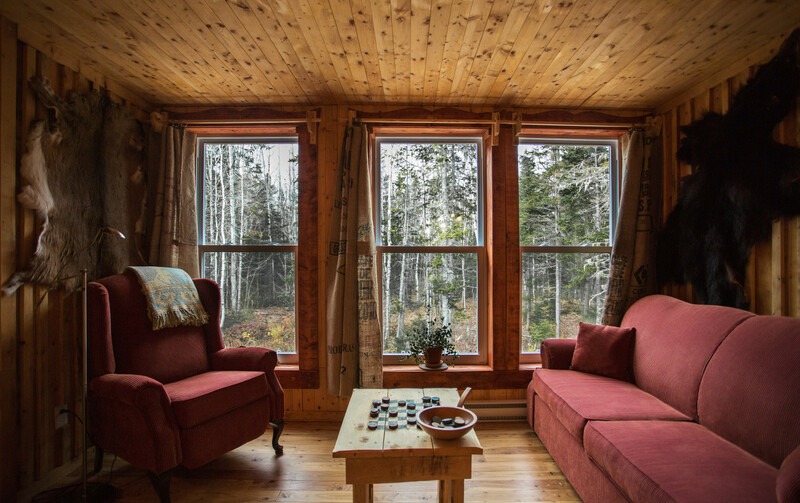 Ideal to recover from a broken heart, to discover the woods in the Gaspé and to meet an inspiring family living in harmony with nature. "Everything is in the details : Walloon proverbs stand alongside gaspesian products​​, vintage objects blend with homemade decorations imagined by Catherine , all in a warm setting where owners bring the simple things around us back to life ! a real discovery of another world distant of thousands of kilometers!". Please confirm availabilities on the calendar above. All year, except from 15/06 - 31/08, it is possible to book from 2 nights. From 15/06 - 31/08 minimum 4 nights. I accept for myself and on behalf of those who are with me the booking conditions (PDF version). Payment conditions : Your reservation will be valid upon receipt of 100% of the total amount payable by check, direct deposit or via Paypal. Refund policy: refund of the amount paid if your cancellation is received at least 4 weeks before the start date of your stay. For your stay, and for the people who come after you, we thank you in advance for not smoking inside the house, and ask you to abide by the few pointers below. Thank you for using the wooden plank for your cooking. Never use duvets and pillows without covers. Feel free to request additional pillows, if necessary. They will be provided free of charge. Thank you for not eating in the bedroom. Ladies, it is IMPERATIVE that you NEVER throw your sanitary napkins and tampons in the toilet. Our sewers and septic tanks are absolutely not designed for this use! A big thank you for using the trash! A recycling bin is located under the kitchen sink. In the country, it is easy to compost. A compost bin is located on the kitchen countertop. When full, you can empty it into our compost pile near the vegetable garden! The farm is a wonderful discovery area for children, but can also be, a place full of danger. For their safety, do not let your children walk close to the animals unattended. Because of cohabitation issues with our herd and dogs, pets are not allowed. Water, as life itself, is precious! Our tap water is safe to drink. It comes from an artesian well dug near our house. Kindly use it within reason. Also, we ask that you be environmentally responsible when using electrical appliances and lighting; not excessively heating every room or turning on all the lights. Similarly, when you go out, please turn off the lights. If you are not familiar with wood stoves, be careful! Ask us for a hand. In the dry season, the danger of fire is everywhere, please pay close attention to the barbecue embers and, and, in windy conditions, do not turn it on. It is absolutely forbidden to light a fire at any site on the property and the surrounding area. Concerning noise: The first, and most important, rule is simply the use of common sense regarding respect for others. Avoid excessive noise or other nuisances, especially at night. - fridge and freezer emptied and cleaned. - Cleaned stovetop and oven. - Dishes cleaned and put away. - Coffee maker, kettle and barbecue emptied and cleaned. - Emptied and cleaned trash. - Emptied and cleaned compost bin. - Beds: folded sheets and duvets on the beds. - Bathroom: bin emptied, toilet bowl cleaned. - Replenish the supply of wood for the woodstove, if needed. In general, we ask that the immediate surroundings are clean and in order. Please do not leave cigarette butts, papers, etc…, lying around. While understanding that it can be irritating to be told what would seem to be the obvious concerning the proper maintenance of a place, we, unfortunately, also know from experience, that it is sometimes a necessity! We simply ask that you take care of the house as if it were your own! We wish you a pleasant stay in our guesthouse and invite you to leave a message in the guestbook..
Payment conditions: Your reservation will be valid upon receipt of payment covering 50% of the total amount due. Payment can be made by cheque, direct deposit or via Paypal. The remaining balance is due upon your arrival, and can be handled by cheque or in cash. Arrival and departure: 4 PM and 10 AM (to allow time to prepare the house for the next guests). Damages: Any breakages, for which you are responsible, will be charged as extra. Refund policy: Your deposit will be refunded as long as a cancellation is received at least 4 weeks before the start date of your stay. Discharge: I am aware that biking, kayaking, snowshoeing and other activities, involve risks and have inherent dangers. I acknowledge and possess the skills necessary to practise kayaking, biking and snowshoeing. I acknowledge having examined the bikes, kayaks and snowshoes and am satisfied with their quality. I have read the documentation related to their proper handling before using them. I agree to assume the responsibility and the cost of any injury or damage of any kind caused to me , or that I might cause to others, due to any equipment failure belonging to the house. I waive any and all claims and release the owner from liability. I hereby certify that neither my heirs nor my legal or personal representatives, nor any of my family or myself will file a complaint or lawsuit against the owners of the house. I accept, as a parent or guardian responsible for a child, that all minors must be accompanied by a responsible adult. I agree, personally and on behalf of the child, with the terms of this disclaimer and that they also apply to the child. Checking “Accept”means that I agree with and accept, on behalf of myself and on behalf of those who are with me, all the conditions mentioned above. We are 5 minutes from Gaspe Bay and the St. John River; 15 minutes from the York River, and 20 minutes from the Dartmouth. Douglastown beach is 5 minutes from the guesthouse! The beach is sandy and there is a beautiful panorama of Forillon National Park. We have cleared a few trails on our property. They allow you to discover the forest around us (trees, plants, fruits and mushrooms,etc.) and some of their dining guests (squirrels, partridges, hares, chipmunks, porcupines, etc.)! The trails are safe and can be accessed directly from the guesthouse. Auval | Brasserie Auval brewing co.
To provide you with good local products, Marché des Saveurs Gaspésiennes and Gaspésie Gourmande ! Snowshoes are available and walking trails are accessible from our property! An ice rink is located near the village church. If you love astronomy, our site is the perfect place to practice your passion! We have a space devoid of light pollution.